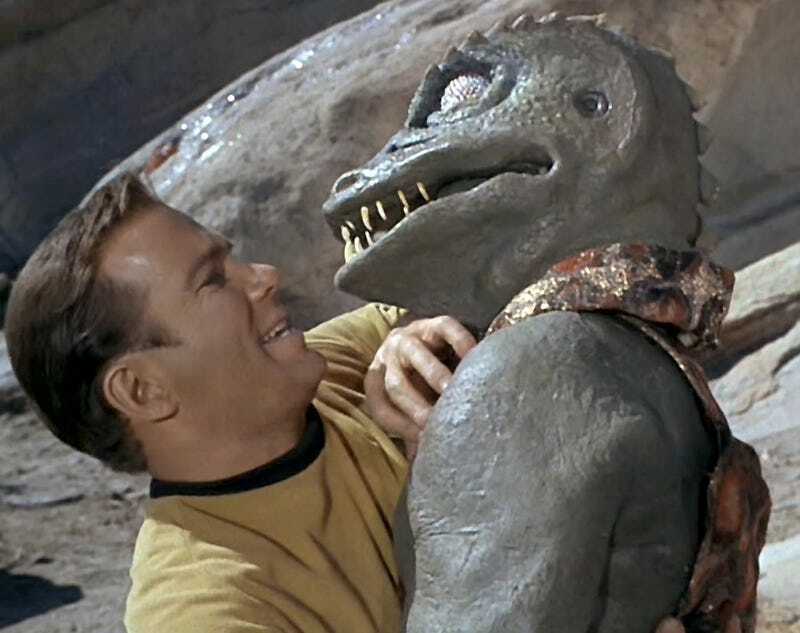 In an interesting choice for the upcoming co-op Kirk/Spock Star Trek game, the goofy Gorn will take the role of the primary villains. Probably best known for the legendarily bad fight scene between my namesake and a Gorn, hopefully the ones in the game will be more fearsome. They utilize their chaos-causing infectious venom, do they? I wonder if they have a powerpoint presentation about how best to do that. The game is set after the events of the first J.J. Abrams Star Trek reboot, which means that it will presumably be grittier and way sexier than past Star Trek games. Also, likely with a lot of lens-flare. Here's hoping the Gorns turn out to be good bad guys. We'll know more about the game soon.